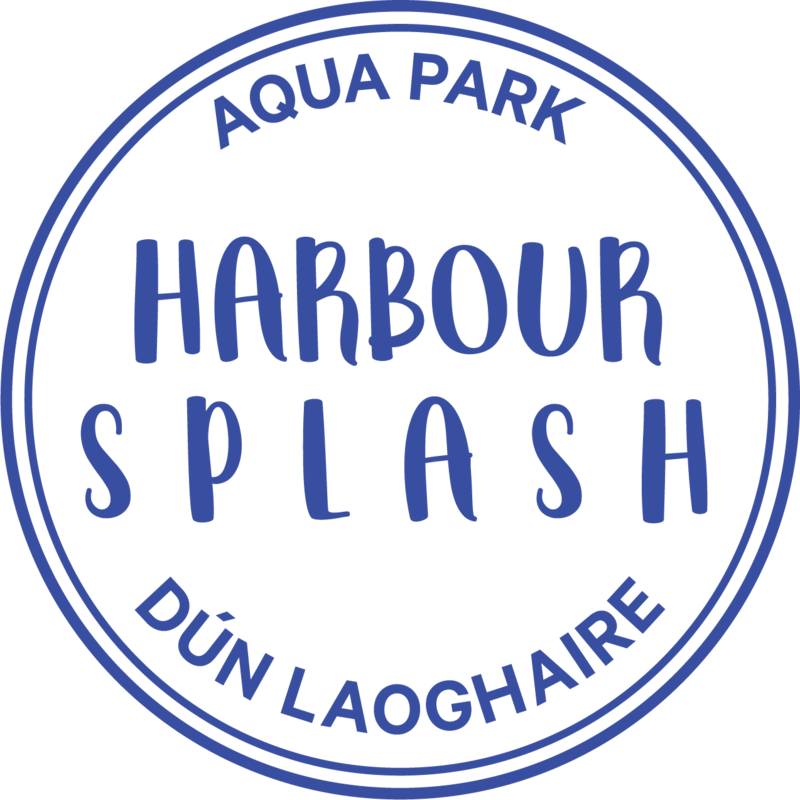 If you are planning a stag or hen party in Dublin and are looking for some fun on the water, then our inflatable aqua park in Dún Laoghaire is the perfect choice for you. 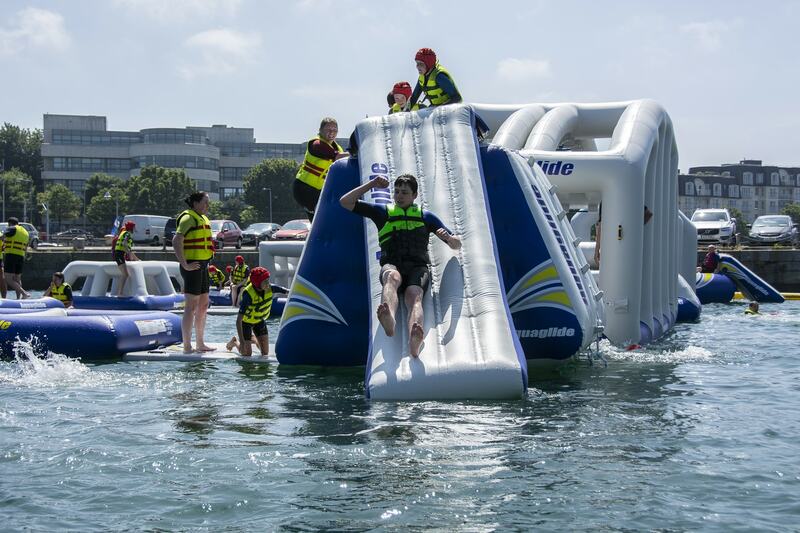 Our obstacle course on the water is guaranteed to make you laugh as you’re slipping, sliding, bouncing, running, jumping and climbing. 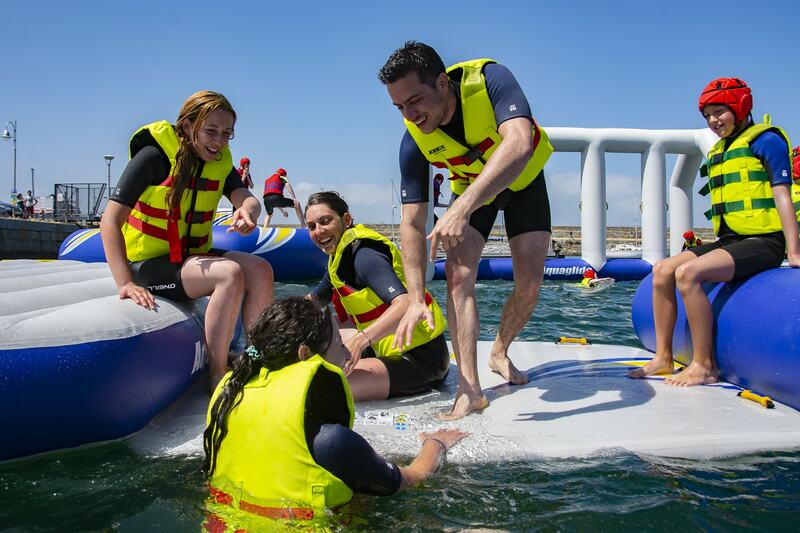 Spend an hour on the water with your friends, challenge each other to Ninja Warrior Style races, learn to fly on the blast bag or compete across the monkey bars. You can tackle the course as easy going or fast paced as you like so it’s suitable for all fitness levels. No experience necessary, you just need to be able to swim. Our team of qualified lifeguards are keeping a watchful eye on all goings on. We provide all equipment including wetsuits, buoyancy aids and soft helmets, so participants only need to bring swimwear and a towel. We meet on our Dutch sea-barge, the Stella, and access the aqua park from there. We have changing rooms and bag storage available on the boat. The storage is communal and unlocked, so please don’t bring valuables to your session, we have a limited number of small lockers for valuables that will require a padlock and you can bring your own or purchase one at reception. Public toilets are located nearby in the harbour. How to get to us: By bus – 7, 7a, 8, 45a, 46a, 59, 75, 111 all serve Dun Laoghaire. The nearest stop with lines 7/ 7a / 46a is Crofton House Stop. By DART – get off at Salthill/Monkstown or Dún Laoghaire. We are a short distance from either one of those stops. See for our exact location here By car – there is pay parking available directly on the west pier, but please bear in mind that the car park can get busy , so travel with plenty of leeway to arrive in time for your session. We recommend to car pool or if at all possible to use public transport.